We are delighted to present John Rocha, the third designer in our Debenhams Designer Apartment range at Cheval Three Quays at the Tower of London. 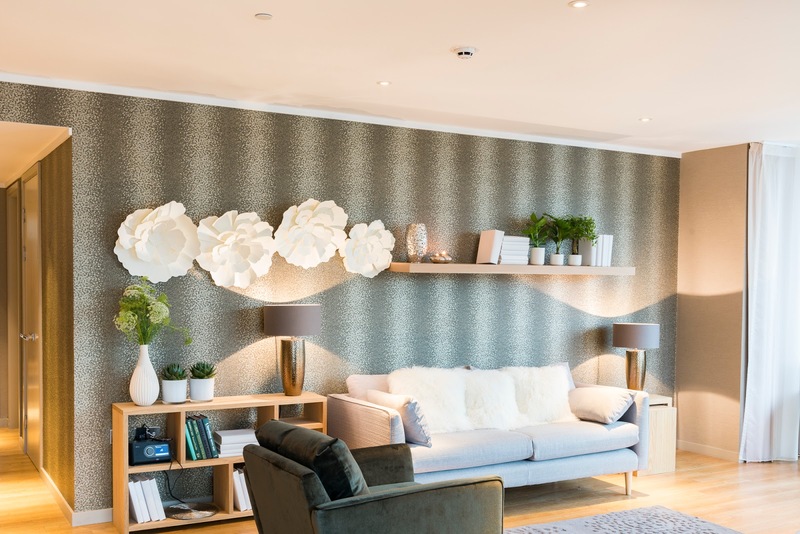 Creating a sleek interior styled with the AW 16 collection of his 'Designer at Debenhams collection', the legendary designer has created a modern living space featuring grey, copper and neutral pieces to create a luxurious living space in the heart of London. The two bedroom apartment features a clean-lined grey textured weave sofa as the perfect place to relax along with table lamps to create ambient lighting. Copper is featured with statement bowls for coffee tables as well as lamp bases with hammered effect to provide additional texture. Hammered effect is also carried through to a Hurricane lamp and texturing on vases to add interest against the neutral colour palette. Natural materials play a part in the space with storage pieces including square woven basket and acacia wood lids on bread bins and storage jars in cream and soft grey. The clean and contemporary range sits within a space which boasts includes dramatic floor to ceiling windows with unrivalled views across the River Thames and Tower Bridge. Creating the living space, with items hand-picked by John and styling directed by the Designer, Rocha’s trademark simple and elegant look is achieved presenting a calm and beautiful environment in the middle of the capital. This dramatic apartment can now be booked for one night or more until the end of November 2016. Rates start from £125/person per night. Please email your enquiries for the #DebsDesignerApartment to: Dean Madge who will respond with details of availability and prices.